Interest in learning at work has captured the attention of many people around the world, often taking centre stage in policy debates about improving economic performance, prosperity and well-being. This book is about the learning that goes on in workplaces – ranging from offices, factories and shops to gyms, health centres and universities – and how it can be improved. Such learning includes everyday work activity, on-the-job instruction and off-the-job training events. Improving Working as Learning is the first book to analyze systematically learning at work in different settings by developing and applying a new analytical framework. The Working as Learning Framework connects the particularities of work tasks with the way jobs are organized and the wider pressures and constraints organizations face for survival, growth and development. 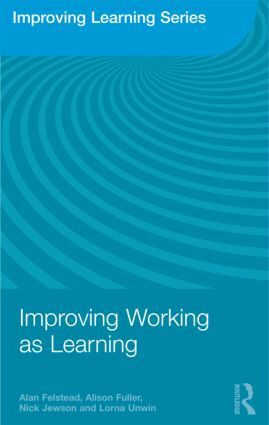 The authors convincingly demonstrate that the framework offers a sophisticated understanding of how improving the work environment – both within the workplace and beyond – can enhance and sustain improvements in learning at work. This topical book will appeal to an international readership of undergraduate and postgraduate students, vocational teachers and trainers, human resource professionals, policy-makers, and researchers.